While the Mistletoe Martini might not have the same effect as mistletoe hanging from the ceiling, it is a fantastic holiday cocktail. The mix is nice and simple: grab your favorite vodka, chilled cranberry tea, orange and lemon juices, and a little sugar. Shake, pour and enjoy. Tip: If you plan to make quite a few of these cocktails, steep a large pot of tea to begin with so that it's ready for the next round of drinks. How Strong Is the Mistletoe Martini? This vodka martini is very mild in comparison to others. 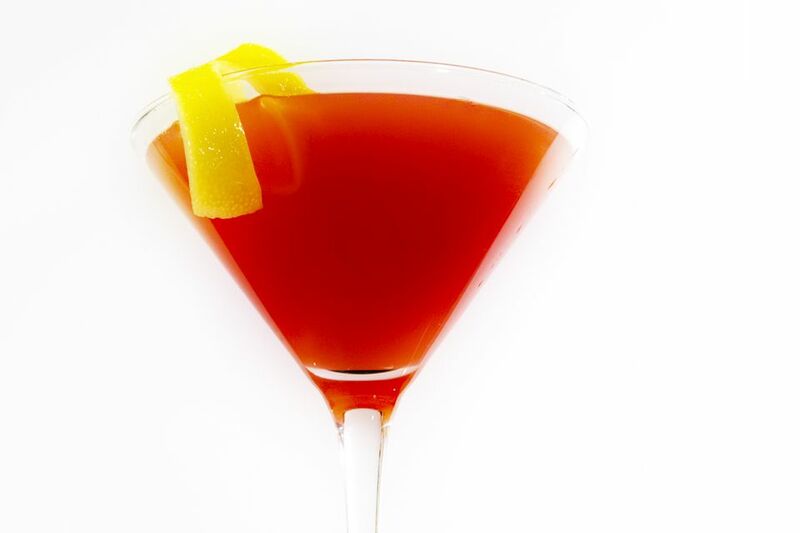 Notice that the recipe makes two drinks and that only 1-ounce of liquor goes into each glass. That alone makes a significant difference and helps puts this cocktail into the low-proof category. If we pour an 80-proof vodka into the Mistletoe Martini, the alcohol content would be right around 9 percent ABV (18 proof). That is gentler than the average glass of wine. Strain into two chilled cocktail glasses and serve. Have You Tried a Matcha Green Tea Smoothie Yet?